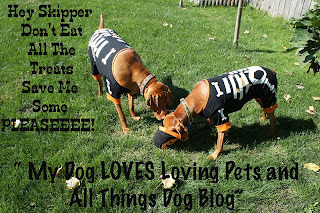 It appears that my readers agree that Loving Pets serves up healthy treats with great accessories, just like the title of my review post. In one short week you guys brought in a whopping number of entries, well over 200! What was really fun for me were all the different things you found on their website that you loved. The comments read like a list of products for sale at Loving Pets' website! The folks at Loving Pets were nicely impressed by your photo talents. Many of you offered up pictures of your various Fidos with loving messages and cute pups. What's not to love about that? 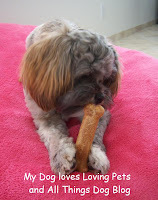 I've posted them all over at Loving Pets' Facebook page, and am sharing a few here in this post. Thank you to all of you who joined in this tremendous effort. We love getting your photos and enjoyed sharing them on our own Facebook page, as well. Today's winners get a combo-pack, a Dolce Diner in the color and size of their choice (to the extent of stock available) and a box of Barksters Krisps. Tanner and Oliver had fun playing with Barksters stacksters and I was totally silly in my review post. But then, that's what pet ownership is all about--having fun. We did do that! For those of you who do not win anything today, you can order your own Barksters Krisps from Amazon in a variety of flavors, as well as the Dolce Diners in the color and size that your pup needs. There is also a store locator to help you find a nearby retail outlet where you can browse the real thing. Bark the good news. The winners are: Shelley P, Leah W., Ashley C., Kristen T., and PepperPomeranian. Congratulations to you all. 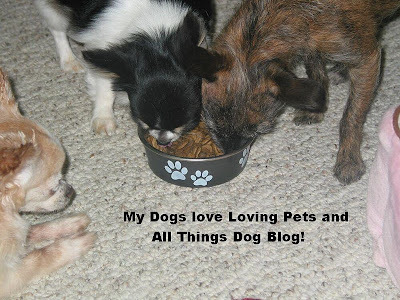 You'll receive an email from AllThingsDogBlog@gmail.com. Please reply with the size bowl (small or medium) you need and your 1st, 2nd and 3rd choices of color, just in case. The colors available are shown here. Don't forget your address and phone number for safe shipping and your goodies will be on their way soon. Happy tails and thank you all again. 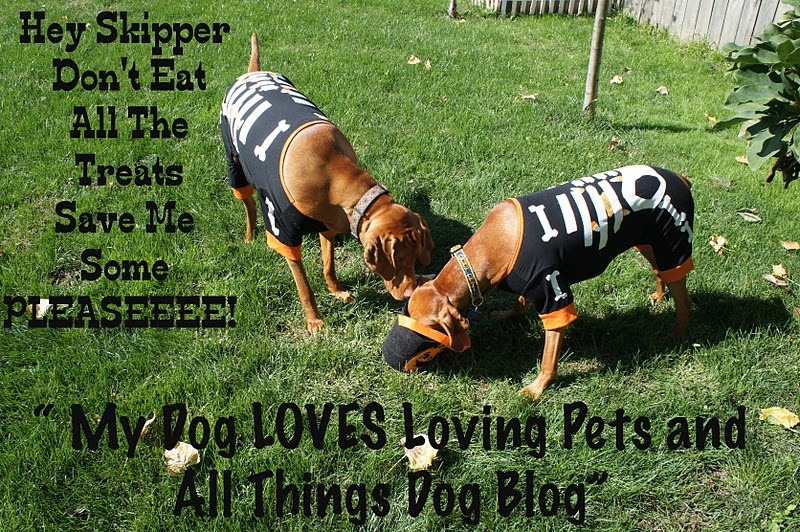 This product review of Loving Pets' Barksters Krisps and the Dolce Diners bowls was done from samples sent to me. I was not paid to offer my opinion or this review. No purchase was necessary to enter the giveaway. Cute! I love all the pictures! OMD!! I am so excited!! Doing Happy Pommie twirls. Those pups in skeleton suits are ADORABLE! Yay, I'm a winner! 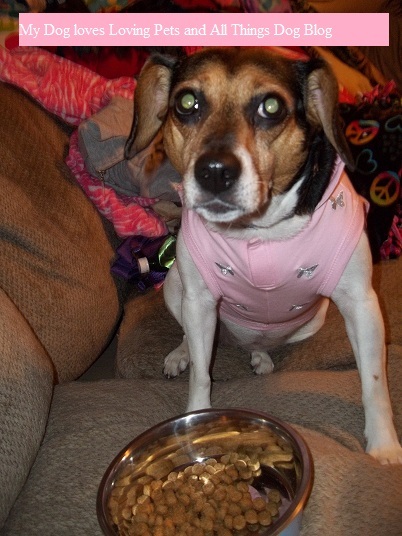 Thank you so much for the chance to win some mail to come to the house for my fur babies. They just love that. lol.